This week, I like to share a little of my cellphone journey, with some tips about not letting the smartphones take control of our lives. For the little thing in our pocket may very well be the Pharoah that enslaves us. My experience with cellphones is a slow and cautious one. It still is. In fact, my first mobile phone is a borrowed one. At that time, I was excited about being able to contact anyone, anytime, and anywhere, and to be contactable anytime, anywhere, by anyone. 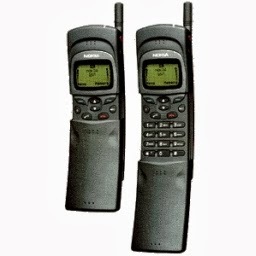 In 1999 I received my brand new Samsung flip-phone from my employer. At that time, there was only a small 3 row screen just enough to text and to talk. There were no fancy graphics. The keyboards were protected by a flimsy plastic flip. Its only function was to prevent users from accidentally pressing the buttons. I enjoyed using it hands-free when driving. By hands-free, I meant having an earpiece stuck into my ear as I drive. Choosing a Samsung at that time is not cool. The cooler models were the Motorolas (Startac), the Nokias (3210, 8250, Banana 8110), and of course, the Blackberrys with their revolutionary mini-keyboards widely used by business executives. I watched with gaping mouths as people text, talk, and toy with their phones everywhere they go. The revolution continued. Soon I realized that people are not only playing fondly with their newest gadgets, they are also changing their phone devices every 12 months. From Motorolas to Nokias; from Nokias to Apples; and now From Apples to Samsungs. 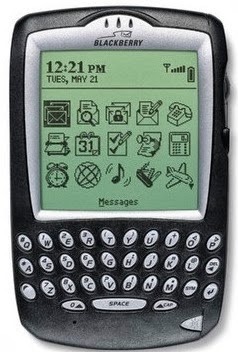 In the early 2000s, as Blackberry continued its runaway success, Apple was quietly preparing their launch of the first iPhone. In 2007, the iPhone was launched and the world was captivated by the beauty and simplicity of a smartphone that could do practically anything. Like its competition at that time, it could be used to text, to talk, to snap photos, and everything appeared to be happening on a beautiful flat piece of glass. Slick, elegant, and revolutionary, Apple never looked back. The world's attention turned to Smartphones: Apple style. The design was indeed visionary. First there was colour. Second, there were many apps to choose from. Third, everything took place within a clean piece of glass. Plus, it came from the visionary company called Apple. I have never had a Blackberry so I cannot say much about it. I am also a latecomer to the Nokias, seeing it more as a "ladies'" phone. When I came to Canada to study theology, after losing my cellphone, I decided not to have any replacement, since my budget was tight. All I can do at that time was to watch others play with their gadgets, their pretty iPhones, and all things colour and smart. Thus, my introduction to smartphones are pretty much skeptical with a tinge of envy. I admit it. I am sour grapes when it comes to smartphones. 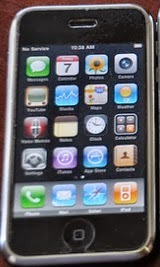 Last year, someone who had upgraded to a new iPhone 4S model donated an old iPhone 3GS. I was impressed by its capability. I started to realize why people are so fascinated and captivated by it. For one, it can do lots. As I observe the way the smartphones are influencing life, the skeptical side in me starts to come back with a vengeance. For one, I shake my head each time I see friends having dinner together at a restaurant, but each of them appears preoccupied with a distant someone else on their phones. People nowadays talk less but text more; socialize less but social-media more. Shockingly, this phenomena is applicable for both non Face-to-Face meetings as well as Face-to-Face meetings. What then is the meaning of eating together when people are so distracted by their phones? Even families are not immune. At a Dim Sum restaurant one Sunday, I noticed a family of four were sitting together but relating only with their gadgets. The father and his two sons were busy with something on the phone, leaving the hapless mother staring into the air wondering what to do with her time. When I shared this scenario with friends, they gave me a brilliant plan. "When my friends and I eat out, we would all place our phones at the center of the table. The first person who picks up the phone if it rings will have to foot the entire bill for the meal." What a cool idea! Best of all, it works. I wonder to myself. Why are people so easily distracted by their smartphones? Why must people religiously Instagram their photos, tweet their locations, Facebook their daily programs, YouTube their own frustrations, and blog their lives away? Why are they so eager to update themselves on social media? Why are they preferring to spend more time electronically even when they are face to face with friends and loved ones? I think one reason is because behind each activity, every reaction, and every update lies a search for identity. Some say it is a search for God. Others say it is a search for meaning. I say it is a search for identity. I think about the nature of cell phones and the constant craze over upgrading. Perhaps, it is important to remind ourselves that it is only a temporary gadget in our daily lives. Why spend so much time on a smartphone when we can have a more meaningful time with our loved ones? I wrote on Facebook recently. "People nowadays talk less but text more; socialize less but social-media more. Shockingly, this phenomena is applicable for both non Face-to-Face meetings as well as Face-to-Face meetings." Perhaps, the way ahead is to control the smartphones before they control us. Below are some challenges I will offer for your consideration. Resist picking up your smartphone during important meal times. After all, if you have been holding on to the phone for hours through the day, what is half an hour of respite from it? Have a smartphone free day. Stick the smartphone in the car glove compartment or your desk shelf. Tell people that for one day each week, you are not contactable on smartphones, because you are spending time with your loved ones. Think of the scenario of you losing your smartphone. Will your private information be protected? What is your backup plan if you lose your smartphone? The questions above will reveal our dependence on our smartphones. The key is moderation. If we do not take time to reflect and ponder upon our use of smartphones, we may be sucked in and letting our lives become directed by the smartphones. If that were to happen, we will be enslaved by the ubiquitous smartphone. Mark Driscoll of Mars Hill Church recently published an article called "7 Sabbath Killers" which I find quite helpful. At number 4, he nicknamed the smartphone as the "Pharaoh" we put in our pockets. Yes. It is a sabbath killer, but only if we let it. My observation of the smartphone is that it never really last. In fact, the life of newer cellphones is getting shorter and shorter. Why not spend time on things of greater permanence? One more thing. Smartphones are meant to serve us and not the other way around. So live accordingly. THOUGHT: There's so many people to reach, but so few labourers; There's so many people to meet, but so much busyness; There's so many things to share, but so few attentive listeners; There's so much noise and chatter in social media, but so little discernment. Many hear, few listen. Many see, few observe. Many confess the sins of other people, but not of themselves. Welcome to a social media age, a new era that parades the age-old problem: "Having eyes that do not see, and ears that do not hear."